5 Reasons Why Startups Shouldn't Use Google Adwords? 5 Reasons Why Startups Shouldn’t Use Google Adwords? Google AdWords is widely considered as an efficient tool to advertise your business and its products or services on the web. This tool displays your ads on relevant search results. You pay for each click made by the visitors on your ads. But a fair share of industry experts believes that AdWords may not be much beneficial for your business, especially if you’re a startup. 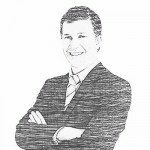 In a blog published on Concept5.com, writer Robert Kenney reveals that Google AdWords doesn’t necessarily work good for most startups and small businesses. The blog further reveals a string of reasons why most startups aren’t even able to break even when using Google AdWords. So if you too have been planning to use Google AdWords for startups. 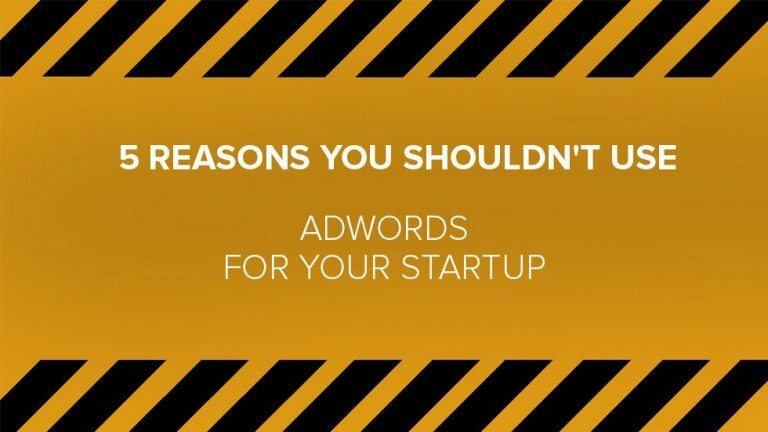 List of 5 reasons why you shouldn’t use Google Adwords for your startup. Your startup would be paying $5 or more for each click with the hope that people will visit your site. Ideally, your ad is appearing on the top search page of relevant keyword and so it is expected to bring visitors to your website and business. But even when visitors come to your startups site, there’s no surety that they will spend, no matter how much time and effort you spend on sourcing an impressive advertisement design. This means that even when they do not buy, you have to pay through your nose for clicks. Another disadvantage startups face in AdWords campaign is that they have to write their ad in a limited number of characters. You are allowed to do your ad headline within 25 characters only, the two lines of text should be within 35 characters and display URL cannot have more than 35 characters. Now, for a startup having more than 25 characters in its company name, this is a real problem. For startups, AdWords campaign is not as fruitful as they have to compete with much larger enterprises. Citing on the topic, Forbes.com reveals in one of its blogs that large companies take advantage of their strong finances for an AdWords campaign. Such large enterprises buy all the relevant keywords make the competition even fierce and boost of the pricing for specific keywords. Suppose, you forgot to turn off your ads for a particular client, this little mistake will cost you a considerable fortune and a lot of hassles. There are many such instances where startups had to splurge their pockets as they forgot to turn their ads off. Similarly, if you do not pay much heed to landing page in your AdWords campaign or make common errors such as spelling errors, Google may penalize your startup site. Yet another shortcoming of Google AdWords for startups is that a single ad cannot effectively advertise and market all of your services or products. This is because ads are keyword specific. They highlight only one service at a time based on the keyword and so they fail to reflect your other services or products. Though the Display Select Keywords tool helps you display your ads on websites that have content relevant to your business, it’s daunting to track if your ads are being displayed on sites. If you’re a startup, do well to research your audience and find out the ways to reach them before investing in an AdWords campaign. Carefully consider these shortcomings and see how you can still take advantage of Google AdWords for your startup. Looking for Customized, On time, Advertisement Designs? Launch an advertisement design contest today. Choose from 100+ designs. Take your pick!